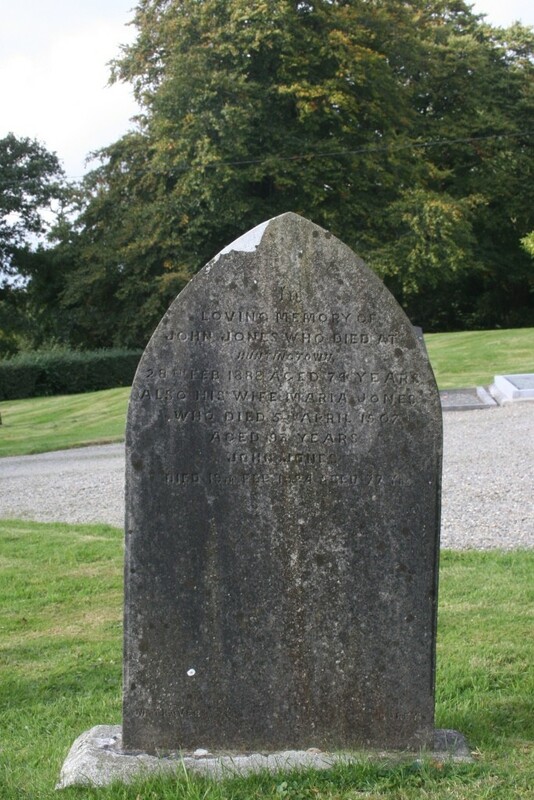 Headstone stone maker: M. Travers Gorey. 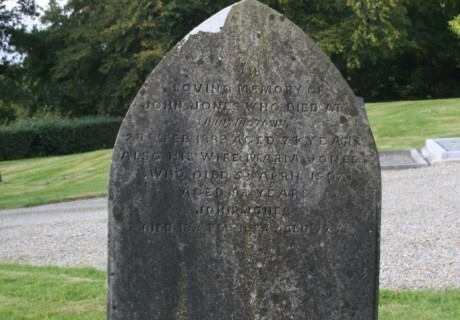 In loving memory of John Jones who died at Huntingtown 28th Feb. 1888 aged 74 years. Also his wife Maria Jones who died 5th April 1907 aged 93 years. John Jones died 19th Feb. 1924 aged 77 yrs.